Bad Faith Waste & Intentional Impairment of Security – when a California borrower is liable for harm to the real estate that secures their loan. Part 2, impairment of security. 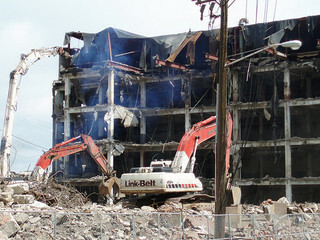 I wrote last about a Sacramento developer who demolished the building on a property to build a mixed-use development. But, the market crashed, the developer defaulted, and the property was foreclosed by trustee’s sale. The lender than sued; in the last post I discussed the claim for bad faith waste. In Fait v. New Faze Development, Inc., the lender also raised a claim for “intentional impairment of security”, meaning that the borrower intentionally reduced the value of the property which was security for the loan. The defendants again argued that there was no evidence that they acted with intent to harm the value of the real estate. However, the court noted that, in prior decisions, even though the defendants likely knew that their conduct would reduce the value of the property, the courts never required an “intent to harm.” This dies not need to be proven for intentional impairment of security. Also, this lawsuit was against the corporate borrower plus individual employee defendants. The defendants claimed that the individuals could not be liable for impairment of security as innocent agents of New Faze. Again, the court ruled against them. A prior decision established that third parties could be liable for impairment of security. Civil Code section 1714 provides that everyone is liable for the result of his willful acts, and also for the want of ordinary care or skill in the management of his property or person. As third parties can generally be liable for negligent impairment of security, the defendants had to show that the individuals acted with ordinary care or skill with respect to the security interest in the property. Here, the evidence was that the named individuals were all involved in the decision to demolish the buildings. The defendants did not show that they acted with ordinary care or skill. In hindsight, an experienced Sacramento real estate lawyer would advise that the lesson here is that all the pieces of the puzzle must be in place before an owner wastes, or impairs, the value of security for debt they owed. That might mean having a loan commitment, or closing a loan, or starting construction. Then, to be halted due to bankruptcy of a contractor, default in loan terms (due to financial wherewithal of the borrower resulting from the downturn), or any of many things that could convince the finder of fact that the waste/impairment was solely due to the downturn. But in a hot real estate market, pieces are often not in place, but projects rely on momentum to complete.